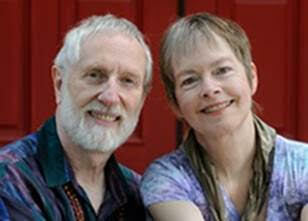 Come experience the love and healing synergy from two powerful healers, Daniel and Ginger Metraux. Together, their healing capacity is exponential. Come experience the love and healing synergy from two powerful healers, Daniel and Ginger Metraux. Together, their healing capacity is exponential. And now they want to share it with you in a beautiful Tuesday evening session. In a safe and loving atmosphere, Daniel and Ginger will work on your physical challenges, whatever they may be. This will include the corresponding mental, emotional and/or spiritual messages that accompany the physical body’s issues, as possibly determined through medical intuition. Using Both individual and group healing will ensure that you will feel the energy and the expansive radiance of Resonance Magic! During your Deep Healing session, we’ll focus on you, giving you an auric cleanse, various healings on many levels, and a deep trauma release to free your body of suffering and that also heals your emotional and spiritual bodies. Daniel and Ginger will reset you with a new, positive energy template. You’ll feel the lightness of yourself as your Greater Self and very likely a new freedom in your physical body! So let this evening be special. Let it be YOUR time! Please come with your personal challenges and burning questions! And please bring your friends. The more who are here, the more powerful the group healings will be for everyone! And your friends will thank you for it. Comfort aids, notepad and pen. We will have water available.